Lisa Catherine Harper is the author of A Double Life, Discovering Motherhood, which won the 2010 River Teeth Literary Nonfiction Prize. Publishers Weekly has called the book, which merges personal narrative with research “universal, moving, and relevant.” Her writing has appeared in books, online and in print, in places including San Francisco Chronicle, Poetry Foundation, Huffington Post, Babble, Glimmer Train, Literary Mama, Offsprung, Gastronomica, Mama, PhD, and the forthcoming Educating Tastes. She holds a B.A. from Princeton University and an MA and PhD from University of California, Davis. She is currently Adjunct Professor of Writing in the MFA program at the University of San Francisco and lives in the San Francisco Bay Area with her husband, and their two children. You can find her online at http://www.LisaCatherineHarper.com. Randall Mann is the author of two collections of poetry, Breakfast with Thom Gunn, a finalist for the Lambda Literary Award and California Book Award, and Complaint in the Garden, winner of the Kenyon Review Prize. His writing has appeared in The Washington Post, Poetry, The New Republic, and The Paris Review. He lives in San Francisco. 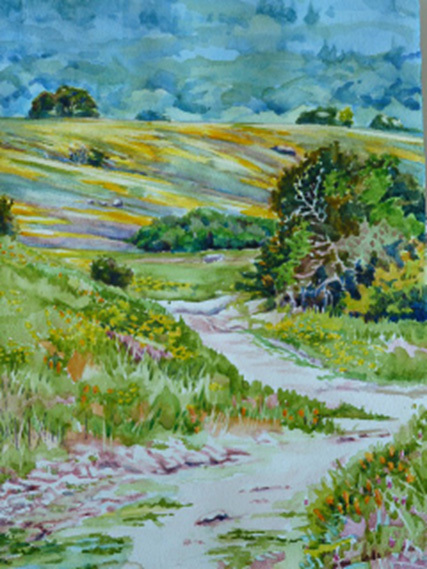 Trevlyn Williams is watercolor artist who is currently obsessed with painting images from the local natural environment. Trevlyn comes to this with a bigger interest in wishing for us all to be knowledgeable about our local environment. This awareness along with an environmental and ecological literacy is what we, as a society and individuals, need to take our world forward in a sustainable manner. Apart from painting subjects of environmental interest Trevlyn volunteers with a couple local parks as a docent naturalist. Paintings of the local environment are a small contribution towards creating dialogue and focus of our precious natural resources and the ways in which we use them.